Winter is coming, and engagement season – the period between Thanksgiving and New Year’s Day – is fast approaching. Chapel of the Flowers has a glamorous winter wedding package for couples looking to say “I do” in Las Vegas, the wedding capital of the world. When families gather around the dining room table later this month for roasted turkey, mashed potatoes and pumpkin pie, the traditional Thanksgiving meal may include raising a glass to toast good health, friendship and loved ones. Many celebrations this year will also feature a surprise marriage proposal. After tears of joy, requests to see the engagement ring and myriad engagement photos posted on social media, the happy couple will jump into all the wedding planning details. A destination wedding is a stress-free way to tie-the-knot, and Chapel of the Flowers is a top choice for couples from all over the United States and around the world who want an upscale, elegant and affordable wedding without the pressures of planning the event in their hometown. 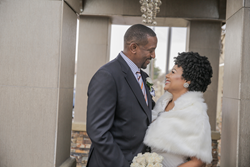 Today Chapel of the Flowers is pleased to announce that their special Winter Wonderland Las Vegas Wedding Package is officially available for bookings. Couples often want to get married soon after the proposal, but chapels and churches in many cities are reserved a year or more in advance. 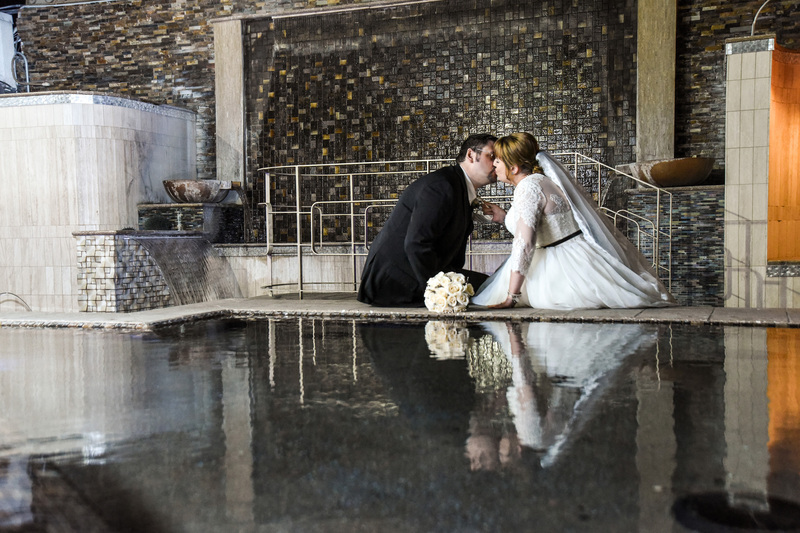 If you're looking to exchange vows in romantic wedding locale without waiting several months or a year, or desire to renew your vows to celebrate a milestone anniversary this winter, book your dream ceremony at Chapel of the Flowers. The Winter Wonderland Wedding Package features round-trip limousine transportation, stunning photography and videography, and a touching unity candle ceremony. Ceremonies must take place between November 1st, 2017 and January 31st, 2018 to qualify for this special Winter Wonderland wedding package pricing. This Winter Wonderland Wedding Package, with a base price of $1,095, allows the option of reserving one the elegant venues at Chapel of the Flowers for a nominal fee. The indoor venues include the traditional Victorian Chapel with seating for up to 30 guests, the shimmering Magnolia Chapel with room for 20, La Capella Chapel, a luxurious venue that seats up to 80, and the newly remodeled upscale-rustic Glass Gardens Chapel with seating for up to 88 family members and friends, in a climate-controlled setting. The Glass Gardens features state-of-the-art lighting that allows couples to exchange vows at sunset or under a starry night, any time of the day. The one acre wedding venue near SLS and Stratosphere resorts received the coveted TripAdvisor 2017 Certificate of Excellence, the third year in a row Chapel of the Flowers has earned this prestigious award. Chapel of the Flowers has over 1,800 reviews on TripAdvisor, with the majority of members rating Chapel of the Flowers “excellent,” more than any other chapel in Las Vegas. The venue also is listed as one of the top places to see in Las Vegas. Professional on-site wedding planners are available to speak with couples and family members about ceremony dates and times for the Winter Wonderland Wedding Package, reception and other post-ceremony celebration ideas and local honeymoon and guest accommodations. Contact Chapel of the Flowers at 702-735- 4331 or toll-free at 1-800- 843-2410. Brides and grooms may also email info(at)littlechapel.com and a wedding planner will respond within a few hours, during normal business times. Chapel of the Flowers’ planners can book ceremonies at beautiful offsite outdoor venues, state parks and unique historical sites. Planners also oversee bookings for wedding ceremonies and receptions at the gorgeous Tropicana LV Resort, known for lush gardens and waterfalls, upscale restaurants and ballrooms, a truly spectacular location for couples who desire a wedding at a famous Las Vegas hotel property. Wedding, commitment ceremony and vow renewal packages at Chapel of the Flowers include professional wedding planners and coordinators, modern limousine transportation, professional photography and videography and designer floral services. The Chapel employs a staff of nearly 90 on-site employees to ensure that each couple is pampered and that guests receive exemplary service. The one acre venue with waterfalls, gardens, a gazebo and a crystal canopy consistently ranks as a top-rated venue on The Knot, Wedding Wire, Yelp and other wedding planning websites, review sites and magazines. Chapel of the Flowers, at 1717 Las Vegas Blvd. South, has been celebrating love for nearly 60 years. The stunning indoor and outdoor chapels each seat between 20 and 88 guests, and receive top ratings from couples around the world as well as from local residents of Las Vegas. Founded in 1960, Chapel of the Flowers is Las Vegas' highest rated and largest full-service wedding venue, providing traditional, modern and elegant Las Vegas weddings on the world-famous Strip. Nearly an acre of cobblestone-accented grounds and vibrant backdrops are designed to capture every picture-perfect moment of a Las Vegas wedding. Professional wedding planners ensure that every aspect of the wedding day is personal, easy and stress-free. Chapel of the Flowers' impeccable customer service assures the couple that all details of the wedding, including the ceremony, flowers, award-winning photography and reception venues will result in cherished memories for a lifetime. Chapel of the Flowers is honored to be one of the preferred venues in Las Vegas, the wedding capital of the world.